Home | Discount Leotards ™ > Grips, Grip Bags, Balm, Etc. > HandEbalm 2 ounce jar medicated ointment treatment to prevent and heal blisters, rips , and tears. 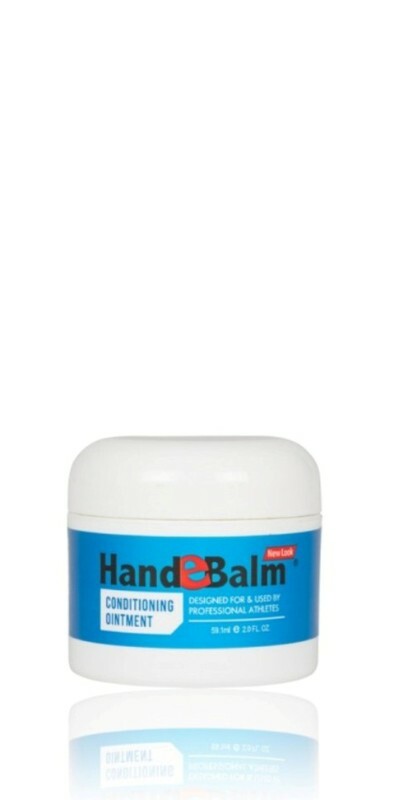 HandEbalm 2 ounce jar medicated ointment treatment to prevent and heal blisters, rips , and tears. packaging and label differs from picture. Now in navy blue! - Helps speed the healing process! - Soothes and helps heal dry, cracked skin! - Helps to make skin healthy again! - Skin protectorate, with continued use! - Meets FDA specs for OTC drugs! - Travel size, will fit in grip bag! Originally created for gymnasts, Medicated HandeBalm Athlete Formula has become a preferred treatment for skin conditions such as skin rips, blisters, burns, chaffing, saddle sores, rashes, eczema severe and dry, cracked skin caused by the rigorous training routines of Gymnasts and CrossFit athletes.